Good One! Great classic ghost story. Like a typical Goosebumps, action from start to finish with cliffhangers at the end of every chapter. 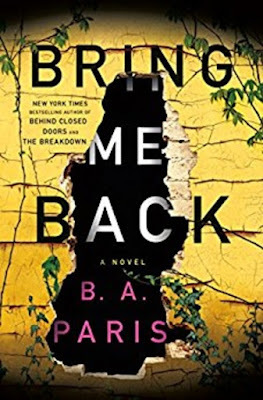 This has lots of twists and turns that will keep you on the edge of your seat. I had some ideas but must admit it kept me guessing until the end. The conclusion is a perfect shock ending. 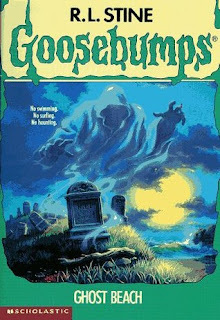 Not all Goosebumps are equal but this is among the great ones. 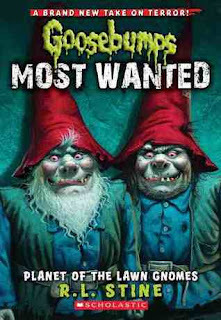 The "Most Wanted" series features favourite villains from the original Goosebumps series. Stine gives an author's introduction to the book and the series. I haven't read too many of them yet so didn't get the nostalgia value of meeting up with the Lawn Gnomes again that other readers will but this was a good story if not great. Jay has moved in the middle of summer and in his new neighbourhood right away, he feels something's not right. Things just get weirder and weirder. Having a proven record of being a trouble maker he's not going to sit by quietly; rather he is eager to find out what is really going on by breaking curfew rules and sneaking around. It's apparent to the reader that we're not on Earth anymore, but the clues keep the reader guessing: is it all a dream? an alternate reality? a different planet? a weird penal colony? is Jake mad? has he been captured by aliens? the thoughts are endless that run through your mind. The final solution wasn't as creepy as I had expected it could be but the final chapter does a doozy of a shocker and leaves you with a smile on your face thinking you could never have seen *that* coming! A good one.